I must be the most boring blogger ever. I hardly go anywhere. But on the other hand I do keep myself busy at home. Oh peep. I should have ironed the skirt. Hehe. The temperature is now around 0 Celsius so now I'm dressing too warm. Oh well that's me. Last weekend we were at a funeral. I was mainly there to support my boyfriend. I had never met the person in question, but it still did make me so sad. I have learned something about myself recently. I am a hyper sensitive person myself, and also when someone else feels emotional I feel them immensely. If I see, hear or feel a crying person I can't help but to break down myself. Even tough there might not be a reason for me to feel sad. My whole life I have taught myself to feel what others feel and try to see what other people see. So I can understand them and their feelings better. There was so much sadness all around me at the funeral so I really had to work extremely hard not to break down. Lately I have been having constant nightmares after another so I bought this little black notebook and decorated it with hot glue and paint. I used to have a dream journal but I suppose I have lost that at some point. The hot glue thing didn't turn out quite how I wanted it to, but it was good practice I suppose. Next time I'll know how it behaves. 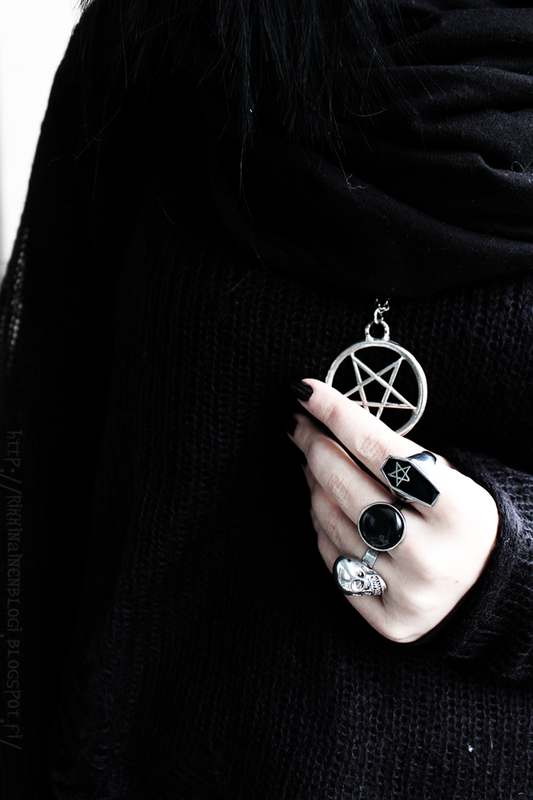 Also look at my new pretty coffin ring! I got it pretty cheapish ebay! It is supposed to be stainless steel and hopefully the silver color wont come off like in some cheap crap rings. I'd give you all a link but it seems the seller doesn't have it up anymore, sorry. New gaaameees! Yeah like I don't have enough games in the shelf that I haven't played yet... But my brother got me a gift card to gamestop as a late yule gift. With that one I got the Witcher 3. 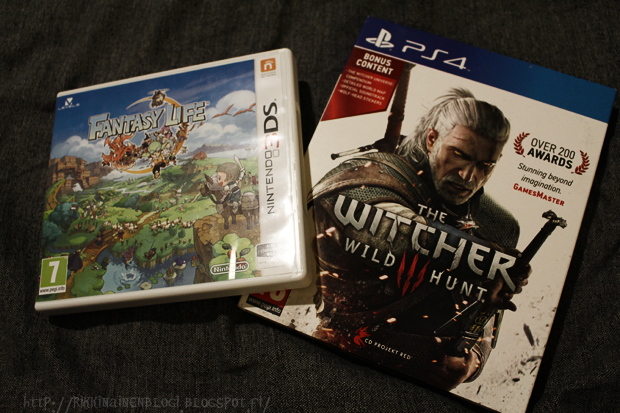 Very cool game, I just love open world fantasy~ Fantasy life is also pretty much open world fantasy as well. I found it used in the local game store, after trying to find it for a year. In the Withcer I find the battle system pretty complicated so it definitely took some getting used to. But the card game in it is so fun! I have gotten excited about "gardening" once again! Well really not much gardening to do in the balcony more like potting. 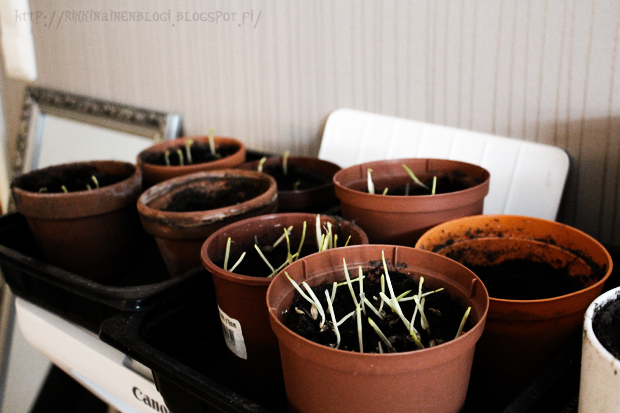 Even tough the spring is still far away, it doesn't hurt to grow some stuff.. Some of these saplings are for the cats thought. Like the barley. Which are already bit munched on. There's also catnip but those haven't grown yet. I am growing these things for the cats because I recently learned that the seeds they sell as "Cat grass" are poisonous for them. Which is pretty messed up. I am also growing some peas. Some of them are for me, and some saplings I'll also try to feed to the cats. Love your outfit. 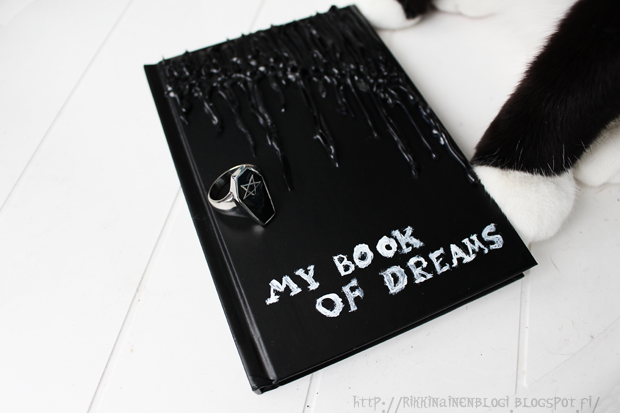 And I have a dream diary as well, and it works for me. And I love the idea with the glue, I think I am going to try that one when I get a new one. Thank you! :) Indeed I find that either talking about it or writing it down helps. + Writing should help to control the dreams eventually. Long time no see ^^ I didn't tell you but the wig is really pretty. One thing... how do you know if you are hypersensitive? Hmmm. Not sure if hypersensitive is the correct translation, it might be "highly sensitive person, HSP". But I have made numerous test online, all confirming it. I have also read about it a lot and the descriptions really do match me very well, like sensor sensitivity, emotional intensity and depth of processing. But I suppose my first clue was that I start crying about the silliest things. If you search with "HSP test" on google you can find all sorts of tests if you want to test yourself. Nyt on pakko kommentoida WITCHER ♥ Itse nimesin tuon omassa blogissani vuoden 2015 parhaaksi peliksi. :D En ole läheskään lähellä loppua, mutta ikävöin joka hetki tuon pariin. :D Loistavuus.